In the modern digital world in which we live the majority of people rely on technology. They get their news from electronic media, they find their entertainment online, and they find directions to their destinations by mapping their trips via technology. 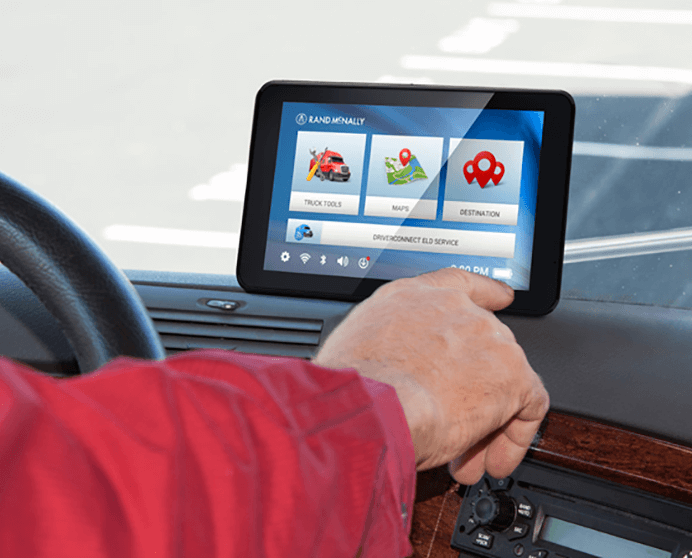 The trucking industry is no different -the internet along with advanced GPS products have clearly replaced those clumsy, large folded maps of yesteryear. No longer must drivers be unsure of finding the fastest route through Texas or trying to coordinate their multiple trips with an end destination of Florida – they can plug in their desired locations and a GPS will provide the heavy lifting. Truck drivers are beneficiaries of GPS devices. Today's tracking mechanisms offer an enormous amount of information for truck operators and fleet managers. GPS modernization plays a critical role in moving the nation’s cargo from location to location by allowing for the tracking of shipments, determining efficient routes, and guaranteeing pickup and delivery times. When you’re looking to buy a GPS device for your truck the first thing to realize is that it’s not the same as buying a standard GPS. You’ll want to take advantage of new technologies being developed, built, and tested by professional drivers. These devices are more qualified to identifying and avoiding restricted routes, trucking Points of Interest (i.e. truck stops, weigh stations, parking, and lodging) and larger screens to make them easier to read. 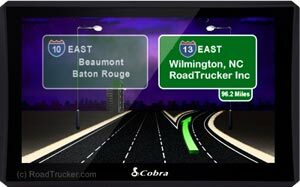 Even the FMCSA wants to make sure professional truck drivers recognize the importance of using navigation systems intended for commercial vehicles. They provide the several tips for those who will be using a GPS system in their cab. The FMCSA advises that before drivers begin their trip, they should type in all relevant information about their vehicles so the system can provide the appropriate route. No driver should engage in distracted driving – they should avoid typing or entering addresses or information into the navigation system while driving. The advantages of using a GPS for one’s truck driver job are numerous and some of these advantages are abundantly obvious. Just about every trucker will tell you their GPS has helped them on more than one occasion. By decreasing the chance of getting lost or taking a more time-consuming path, the operator drives with more confidence, even on a new or unfamiliar route. It delivers critical data to avoid major traffic jams and ensures the correct route is taken so deliveries are made on time. A California driver knows how critical this may be, and how saving time is crucial for nearly any run. For those who make a living through a truck driving job, this can help with keeping on schedule and make the overall experience on the job more enjoyable. Today's tracking devices also offer a lot of information on driver conduct. 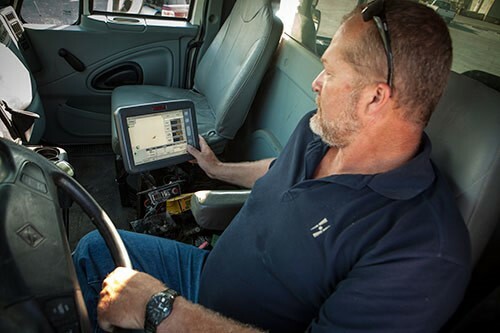 GPS can benefit more than the driver in their trucking job. So whether you are managing a small business with just a few vehicles or you have a fleet operation with thousands of trucks on the road, a GPS system can provide insight. Almost everything monitored by GPS vehicle tracking solutions can work to help reduce fuel costs. GPS products developed specifically for commercial trucking can keep track of fuel usage and estimated miles per gallon. This may be helpful for a driver in Michigan who may find that they have long stretches to trek through without a gas or service station. Speeding is a huge factor in high fuel usage. Maintaining proper speeds can significantly reduce the amount of fuel used by your vehicles. Many GPS programs provide speed information and alert you when a truck exceeds set speed thresholds. These “smart” devices can also monitor other activities such as idling. Excessive idling can simply be a waste of fuel which equates to a waste of money and an unnecessary pollution burden to the environment. Tracking devices usually have a feature that can set alerts when vehicles idle longer than a preset duration. This allows for opportunities to take corrective action with drivers and become more fuel conscious. Most insurance companies provide special discounts on vehicles that are equipped with GPS tracking systems. Some companies have reduced their premiums by as much as 35%. Investing in a GPS tracking system helps identify shortest routes for your vehicles. This reduces not only fuel consumption but also unnecessary overtime costs. Many vehicle tracking gadgets provide location-based information. This permits busy dispatchers to easily locate the closest vehicle to any specific job and dispatch the technician that will arrive on the site first, thus further reducing fuel usage. Speeding is a key contributor to accidents. In fact, the Insurance Institute for Highway Safety, (IIHS) Highway Loss Data Institute study points out that in 2014, speeding was a contributor in 28% of motor vehicle crash deaths. And from the business owner's perspective, the risk can mean liabilities, loss of income, loss of equipment, insurance issues and even, ultimately, the loss of their business. Many GPS products offer notifications when a long haul truck exceeds a predetermined speed setting. The highly equipped GPS systems now available can determine the speed at which their vehicles were traveling as well as information on starting and stopping. This allows carriers to monitor their workforce to ensure that they are in compliance with safety laws and helps to increase overall driver safety. Safer drivers will result in fewer accidents, a benefit to everyone on the road. GPS is used to help survey road and highways, identifying features such as entry and exit ramps, service stations, and emergency services. This not only helps reduce maintenance and service costs, it also improves safety. Vehicle tracking provides an important safety function for your business and the drivers as well. Monitoring a fleet in real-time can provide direct assistance and support to your drivers in case of an accident or problem on the road. GPS allows you to keep up with proper maintenance, keeping vehicles safe on the road. In addition, vehicle tracking will allow you to recover any stolen assets more quickly, which will help keep your business from incurring losses. But old school drivers may be opposed to these tracking devices, feeling that they are being watched and not trusted to do their job.There is some truth to this. GPS fleet tracking software can closely monitor driver behavior. This increased visibility into driver behavior allows for maintaining records of driver actions and keeps drivers accountable during the workday. The resistance also comes with employers monitoring the potential unauthorized personal use of company vehicles. GPS technology can be set to monitor “off hours” behavior. Parameters can be set to find out when and where vehicles are being used during weekends, after work or during non-official work hours. There are a large number of GPS manufacturers and models available to choose from today. Do your research before purchasing any type of tracking product. You’ll want to choose a GPS system that is reliable, instills peace of mind and allows your truck to be more competitive. Fleet managers can use the data in a positive way, such as for training and coaching. In fact, GPS tracking devices along with monitoring driver behavior provide objective tools to determine how to assess the driver, how to educate them and how to improve your business. Smart truckers on the highways depend on GPS to improve safety, efficiency, and environmental impact. As the technology advances even further, the user experience within GPS solutions will continue to improve, all the while improving the bottom line.